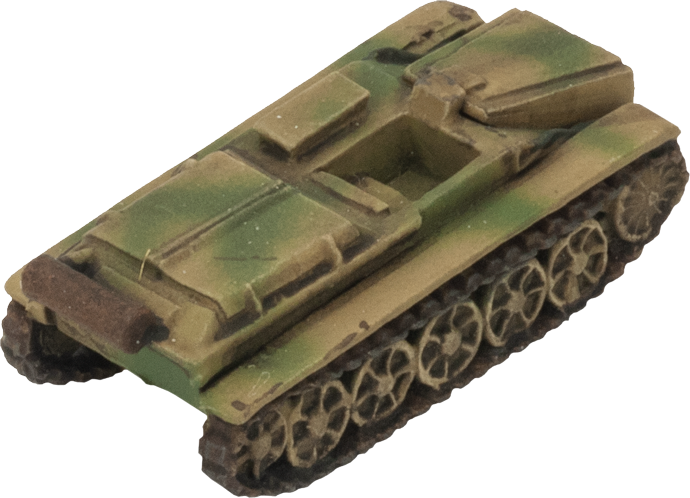 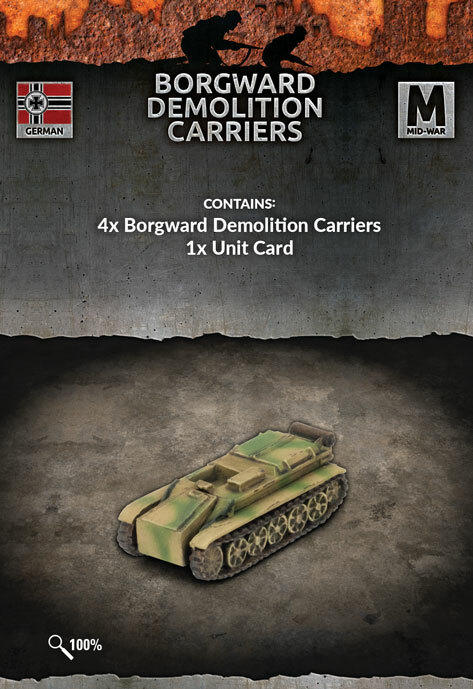 includes four resin and metal Borgward Demolition Carriers and one Unit card. 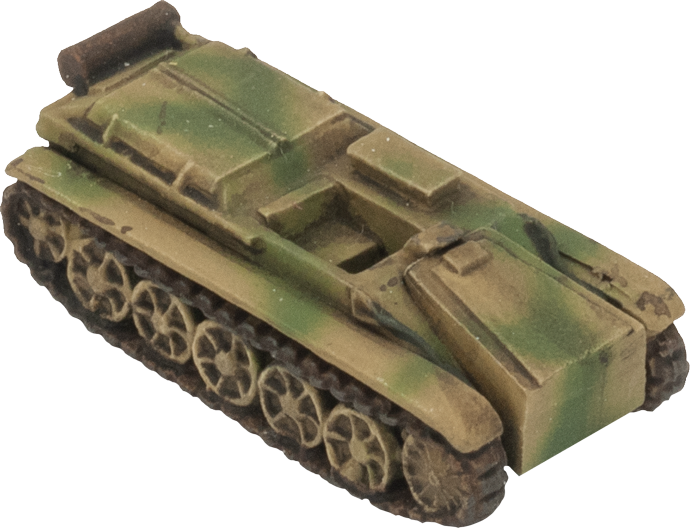 After the invasion of Poland, the German army needed a solution to quickly clear mines ahead of a blitzkrieg attack. 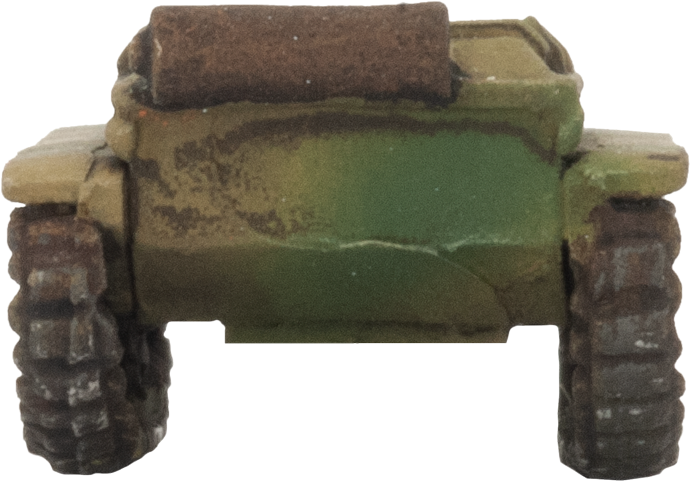 Early experiments using mine-rollers and Panzer I tanks carrying demolition packages met with limited success. 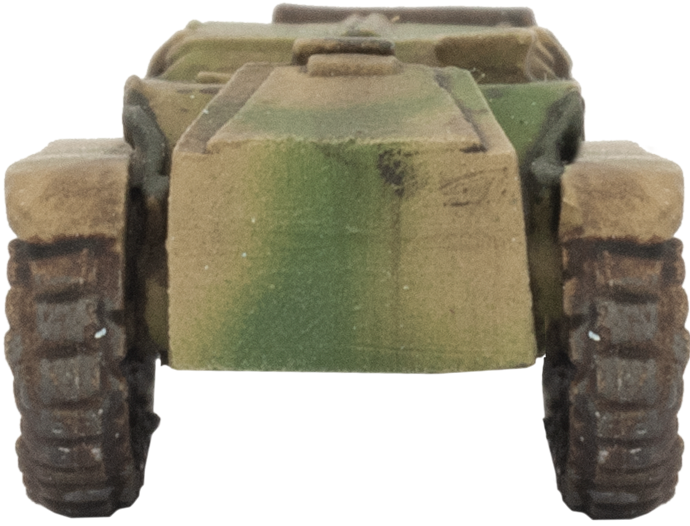 In 1940, the German automobile manufacturer, Borgward, designed the B IV, a small one-man tank that could carry and deliver a 500kg explosive demolitions package. 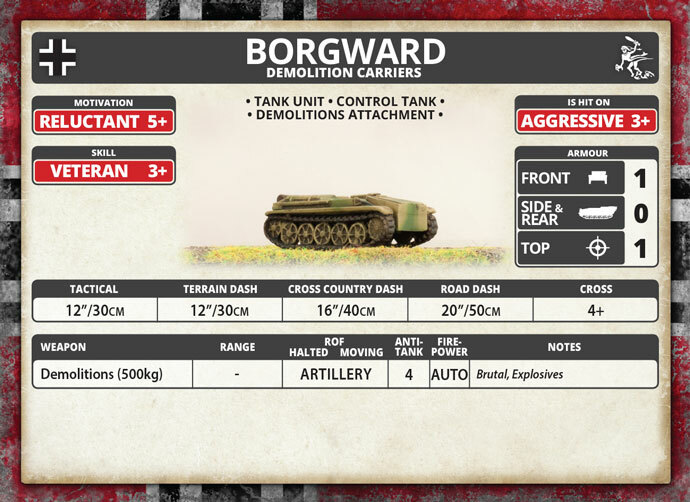 In the final attack run, the tank could be remotely controlled to the target and detonated, preferably after having dropped off the explosives and saving the Borgward carrier. 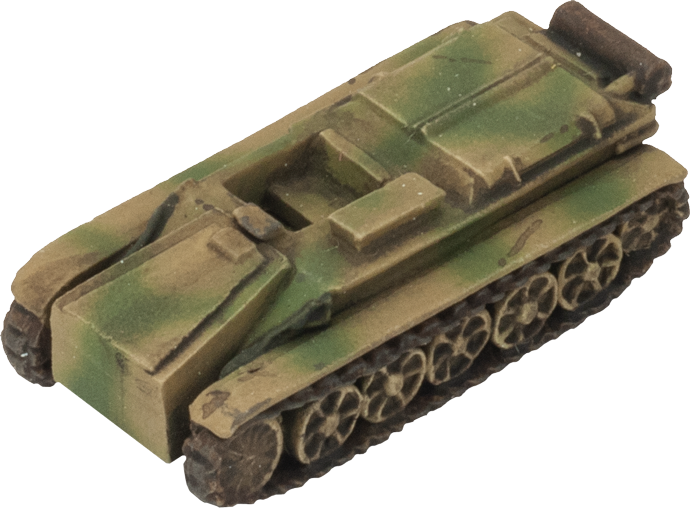 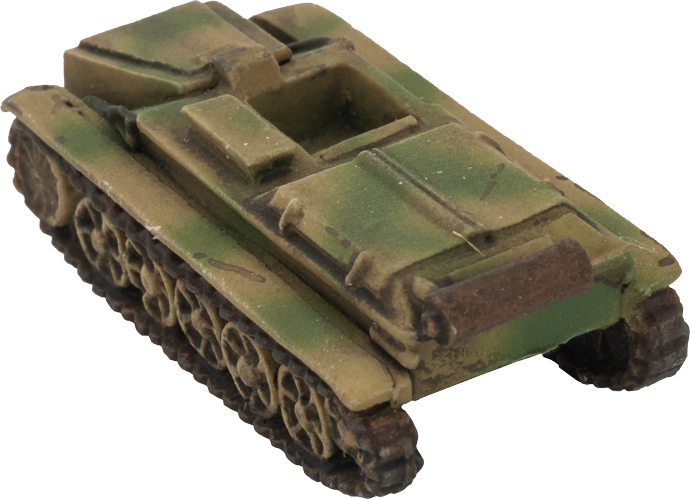 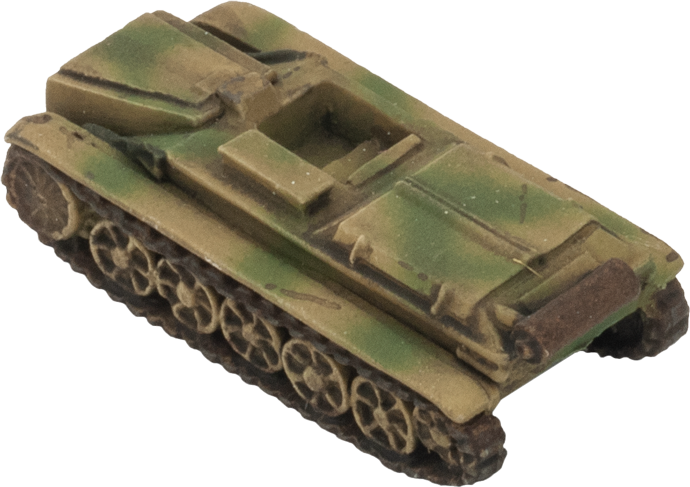 Trials were successful and, by early 1942, the 300th Panzer Battalion (Radio Control) was created and shipped to the East Front in May 1942.